What’s really hiding in your deodorant? 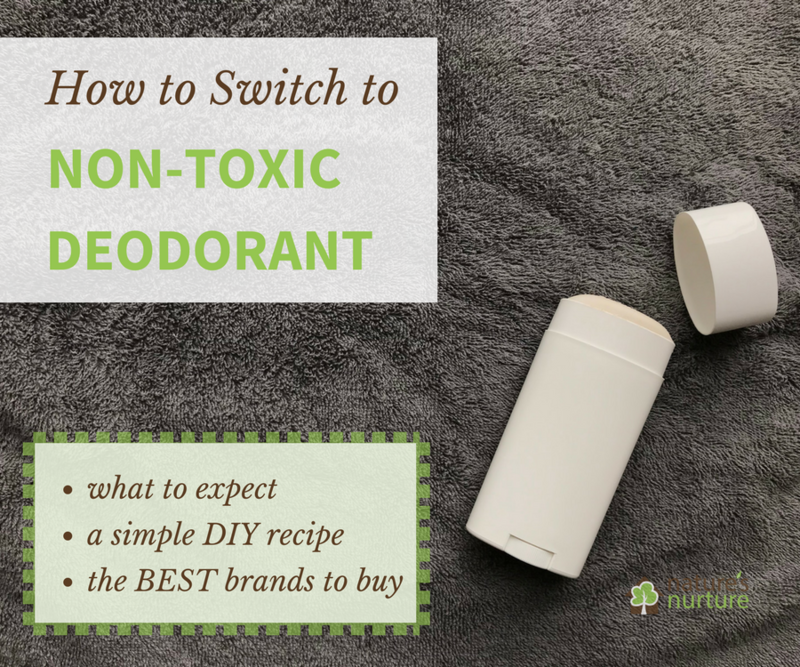 Find out how (and why) to switch to a non-toxic deodorant, with a simple homemade recipe and the safer alternatives you can find at the store! Body odour is not cool. No matter who you are. Smelly armpits and the resulting assault on the noses of those around you is definitely not cool. But you know what’s even worse? The dozens of harmful ingredients hiding in your conventional deodorant and anti-perspirant. Because that stuff? Can be pretty offensive as well. But before we go any further, we need to understand the difference between ‘deodorant’ and ‘anti-perspirant’. Deodorant means to “remove odours,” and anti-perspirant just means to “prevent perspiration or sweating.” Most conventional deodorants are actually a combination of these two products. However, have you ever stopped to think about why we’re all ok with the idea of preventing our bodies from sweating in the first place? Our bodies need to sweat! That’s right! Sweat is a natural bodily function. 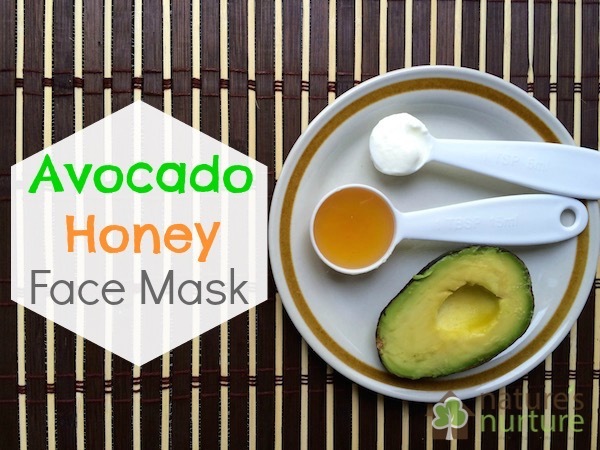 It regulates your body temperature, cleans your pores, and even helps to release toxins from your body. Did you know the average person has something like 2 MILLION sweat glands? When anti-perspirants are applied to the skin, they dissolve in your sweat and form a gel which sits on your skin and temporarily “plugs” your pores, blocking your sweat glands and preventing them from sweating. I don’t know about you, but I’m not comfortable with the idea of preventing my body from doing something that helps it to naturally regulate itself. So what’s up with those harmful ingredients? This is the main anti-perspirant ingredient, so it’s sole function is to stop sweat from reaching the surface of your skin. This one is always fun to discuss because this term is so perfectly ambiguous, that manufacturers can put it on a label to describe any number of the more than 3,000 different chemicals that are known to be used in fragrance compounds! Most cosmetic and personal care products have this “ingredient” listed on their label; it might also be called parfum, perfume, or aroma. We’ve only discussed three ingredients here, but these alone should have you at least thinking about considering a safer alternative to your current deodorant. The good news is you’ve got options! Personally, I make my own deodorant at home with just a few simple ingredients. 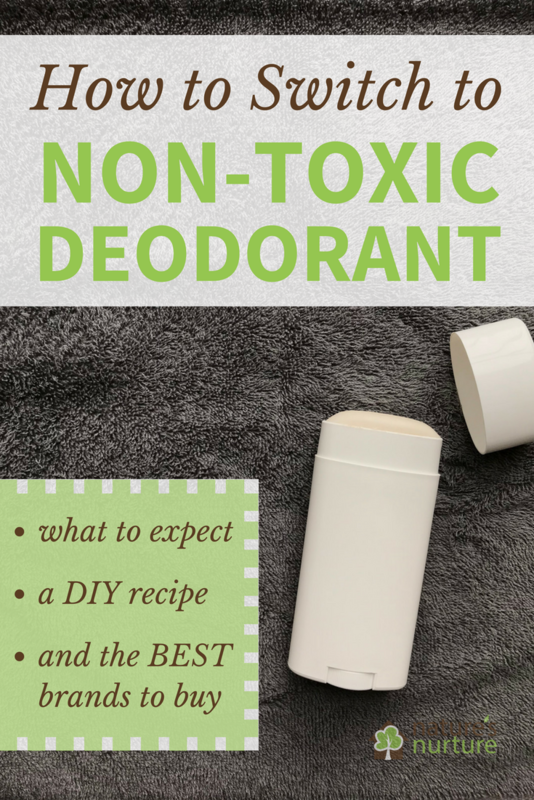 There’s no shortage of non-toxic deodorant recipes all over the internet. But for me, I knew I didn’t want to use a recipe that involved cooking the ingredients on the stove. Call me lazy, but I just wanted something that I could mix up quickly and use right away. Over the years, I’ve tweaked the recipe to my liking, and here’s what I use now. Surprisingly, it’s very easy to make yourself a non-toxic deodorant that actually works. So easy, in fact, that you can make it and use it in just about 5 minutes. This recipe requires no cooking, no waiting, and no cooling. Just mix it up, and you’re done. For the essential oils, I like to use lavender and rosemary (for the nice scent), and also tea tree oil (because it’s anti-bacterial), but you can use whatever scents you like. Vanilla, sage, bergamot, lime, and calendula are all great options. NOTE: Tea tree oil is a must for me. I’ve made the deodorant without tea tree before when I’d run out of it, and it just did not control odours very well for me. I later learned that the odour in our sweat is actually related to the bacteria in our body. So regardless of what other oils you use for scent, add a few drops of tea tree oil for odour protection and anti-bacterial action. 4 simple ingredients are all you need for this natural, homemade alternative to store-bought deodorant! In a small bowl, mix together the baking soda and arrowroot powder. Add the coconut oil and mash with a fork into the baking soda/arrowroot mixture until you have a creamy paste. If adding essential oils, do so at this time and stir well to distribute. Spoon the mixture into the deodorant stick. After each spoonful or 2, twist the stick down to make room for more deodorant, and add more. When it’s full, smooth the top with the back of a spoon. Store in fridge to prevent melting. 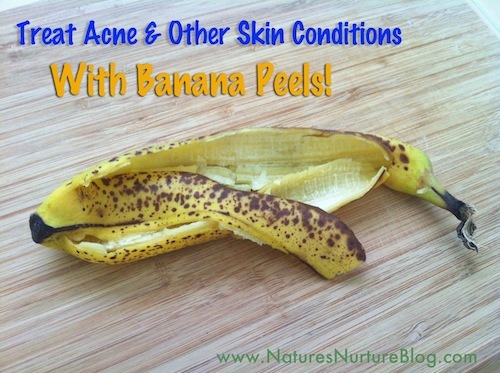 Alternately, you can just store it in a glass jar on your counter and apply with fingertips. Depending on your skin sensitivity, you may use between 4-6 tablespoons of coconut oil for this recipe. For more sensitive skin, you'll use more coconut oil, for less sensitive skin, you'll use less coconut oil. Now you have 2 options for storage. The first, which is what I do, is to spoon the mixture into an old, cleaned out deodorant stick. Just keep twisting it down, then spooning the mixture in, then twisting it down again, until it’s all in. Then just smooth out the top. If you use this option, you’ll have to put it in the fridge to harden. And that’s also where you’ll store it. Because coconut oil melts at room temperature, your deodorant will start to melt and create a greasy mess if you decide to keep it in your bathroom. 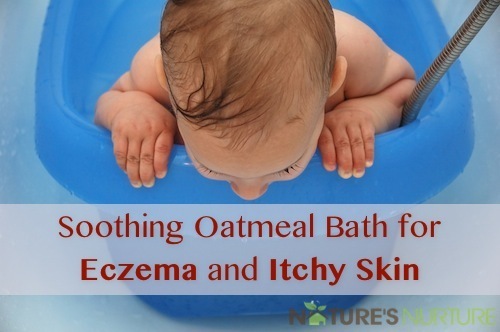 Your other option is to just keep it in a small glass jar in your bathroom and apply it with your fingertips. You can also use a wooden craft stick or small wooden spoon. Not my preferred method at home, but a good option for travelling. Ready to make the switch? Read this first! Here’s something most people don’t talk about when it comes to switching to a non-toxic deodorant. If you’ve been using conventional aluminum-based anti-perspirants until now, and you want to switch to something without aluminum, your underarms will most likely go through a “detoxing” period. Your body will need some time to transition to your new deodorant, during which you may experience more odour/stink/funk. This is a normal process and shouldn’t last more than a couple weeks, although it’s different for everyone. Just push through this necessary period, do what you gotta do to stay fresh, and don’t give up! Once you’ve gotten over this hump, you’ll feel much better. Because shaving causes your hair follicles to temporarily become inflamed, applying any deodorant right after shaving is usually not a good idea. Even this homemade version can cause some irritation. So for the first day after shaving, if I’m staying home, I usually don’t put any deodorant. But if I’m going out, I just rub some coconut oil under my arms to help soothe the area and provide at least some odour protection. At the very least, you should wait a few hours after shaving before applying your deodorant. Baking soda can be irritating for some people, and might cause redness, rash, or other skin issues. Because every body is different, with different skin types, and different chemistry, each body will react differently to the same product. 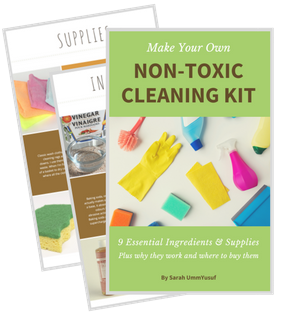 You could start by making a small batch (just scale down the ingredients) and maybe cut the baking soda in half, and test it out for a week or two to see how your body responds. And then adjust the recipe from there. That being said, if you’re totally set and want to drop the baking soda completely, I’ve heard great things about using diatomaceous earth or even bentonite clay instead. Here’s a post from a friend who makes and sells her own products that might help point you in the right direction. All that being said, most other recipes you’ll find online require cooking/melting the ingredients together on the stove in a double boiler, which is different than the one shared here which requires no cooking at all. You can find essential oils at any health food store that sells natural and organic products. My favourite and recommended brands are Plant Therapy. Not ready for the DIY? That’s cool. I feel you. Sometimes the whole keep-your-deodorant-in-the fridge thing can get kinda old. But when it really gets annoying? Whenever I need to travel! The softer consistency of this deodorant when at room temperature definitely makes it non-travel friendly. So what’s a girl to do? I used to make a small batch and keep it in a small glass jar with a tight lid, and just take that with me on my travels. And that works fine, but I still really miss the ease of the deodorant stick, without having to dip my fingers into a jar. But I finally – FINALLY! – found a store-bought deodorant with ingredients I can trust, and most importantly, it actually works! 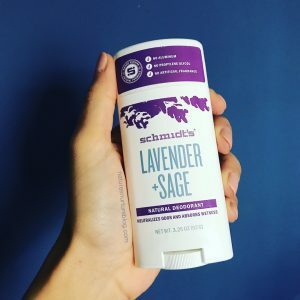 Schmidt’s deodorant is now my #1 most favourite and recommended non-toxic deodorant that you can buy either online or at most natural health food stores. I’ve tried quite a few non-toxic deodorants before deciding to make my own (and eventually finding Schmidt’s). Most of them left me feeling too wet, or they didn’t last all day so I had to keep reapplying. Ready to ditch the harmful chemicals and switch to a non-toxic deodorant? 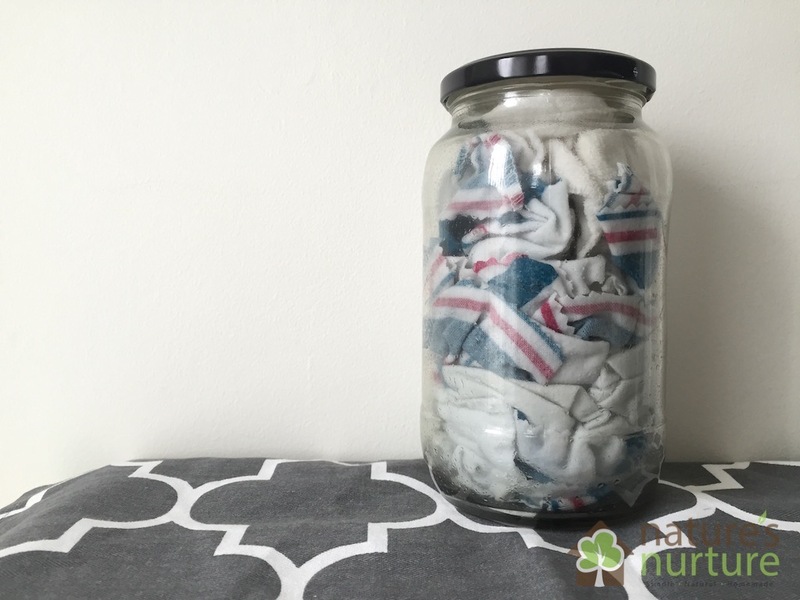 Previous Post Your Homemade Laundry Soap MIGHT Be Ruining Your Laundry! 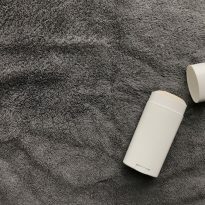 Next Post Non-Toxic Air Fresheners: What Are Your Options? Thank you for this info and recipe for toxic deodorant. 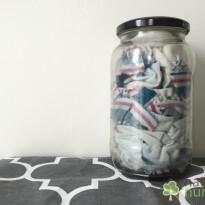 May I ask if this DIY Deo can darken underarms? Most of the time I use lemon just scrub it on my underarm but it irrirate my skin and it darken more. Does it shows when we are wearing black clothes? By the way, your homemade cleaner like room spray is great and I’ve shared it to my mates at work. Thank you and stay cool bye. Thanks, Grace! I haven’t had issues with darkening underarms, but that could just be my specific skin. I do believe some people can be sensitive to baking soda, so if you’ve had darkening in the past, I would probably not use this recipe. Also, if you use too much, it can show when wearing darker clothing. But I only use one swipe, which is enough, and I don’t have this problem. For years I’ve used hoist baking soda o my pits and it’s works so great. I’m careful not to rub it on, just pat it on. Cheap too. I can’t even do that 😭 i used it in my shoes once just sprinkled some in let it sit overnight and tapped it out and it made my feet dry completly out , they got so red and my skin cracked and inflamed so bad it was scary , and i have slightly sensitive skin but i will Always stay away from using baking soda on my skin. Thats great that it works for you tho!! I’m so sorry to hear that, Catherine, that’s gotta be rough! Awesome info! I’ve wanted so much to be rid of the usual deodorant/antiperspirant for some time but never had much luck with the natural types I’ve found. This recipe is definitely a keeper. Hello friend, great post!! I just recently made the switch myself (about 2 months ago) and I plan on making my own from now on but also wanted to have a pre-made (by someone else haha!) deodorant ready in case I ran out & didn’t have time to make a batch or what not. I checked out my local grocery store and they had the Schmidt’s Rose Vanilla deodorant on sale and OH MY GOSH it is AMAZING! I actually look forward to using it because it smells so good. They are pretty pricey (I saw on Amazon the same one for about $12, luckily my store had it on sale for about $8 I believe.) At first I did think this was ridiculous BUT I do have to say since these are not like regular deodorant you only need a teeny tiny amount. A few tips for any newbies to a butter-based deodorant like Schmidt’s that contain Shea Butter or Mango Butter etc. If it doesn’t seem to be applying well you want to think of it like you would a homemade batch of lotion bars. You have to put them on your skin & allow your body heat to melt the bar onto your skin right? Same for deodorants with butters. I didn’t realize this and found greasy stains all over my shirt lol. It came out very easily in the wash though luckily. Simply put the deodorant to your arm pit & leave it there for a moment until it glides smoothly on, also as I said you just need enough to thinly cover the surface area. Don’t go slathering it on (even though it feels great & you’ll want to!) So the $8 is justified I decided to have a fantastic scent that I can’t make at home (vanilla essential oil and rose are SO expensive!) And after 2 months of daily use I haven’t even made a dent. It will definitely last at LEAST 2x as long as regular deodorant but I’m guessing longer. I also read Geranium oil is a natural deodorizer so it’s awesome to add to your DIY deodorant if you like a floral scent. I can’t wait to try out this easy recipe!! Thanks so much! 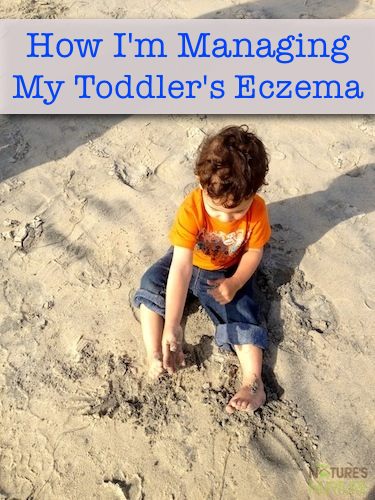 I’m looking for a deodrant recipe without baking soda because it irritates my daughter’s arm pits and it makes my lymph nodes swell up. I have made deodrant without the baking soda but it doesn’t control odor. Do you have any ideas? Lily, totally understand and I know that’s an issue for a lot of people. 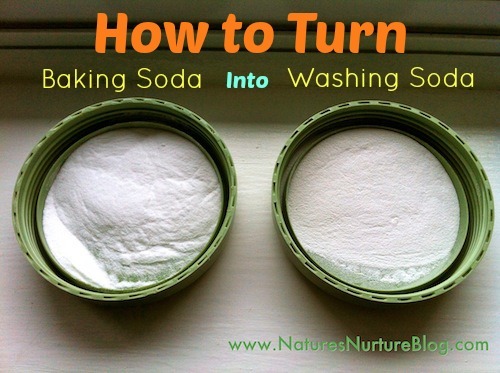 Have you thought about maybe reducing the baking soda amount? You could start by making a small batch (just scale down the ingredients) and maybe cut the baking soda in half, and test it out for a week or two to see how your body responds. And then adjust the recipe from there. My wife has a company called Bee Real Products. She makes all natural skincare. Can I send you a sample of her deodorant? Maybe some of her other products? Her website is http://Www.beerealproducts.ca. Thanks for your time! Can you please send me a message through my contact form? Thanks! I use Schmidt’s, too! Love their deodorant. Right now, I’m using the Rose and Vanilla. I was using the Charcoal and Magnesium, but I think that’s for men. LOL. Lol yay for Schmidt’s! I actually just bought the rose and vanilla – it smells divine! That’s interesting, Margie. Thanks for sharing! This is so helpful! 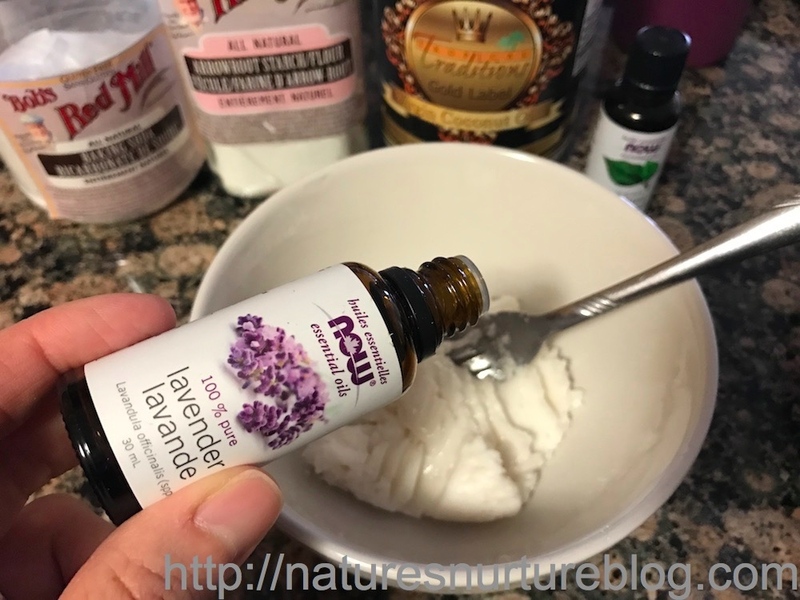 I’ve never tried using a homemade deodorant, but I’ve tried plain baking soda and it really works! Yep, it’s the shea butter which keeps it from melting since shea butter is semi-solid at room temp. You can also add in a little beeswax to make it into a true solid. Good luck! Sounds lovely! Will have to try that on time! I don’t prefer to use the ready-made items because they are full of chemicals and they leave side effects. 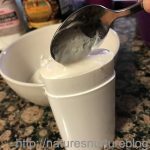 I was looking for a deodorant, which I can prepare at home and I am glad that I found the method here. Thanks for sharing, I will surely try this! Great, best of luck Gloria! 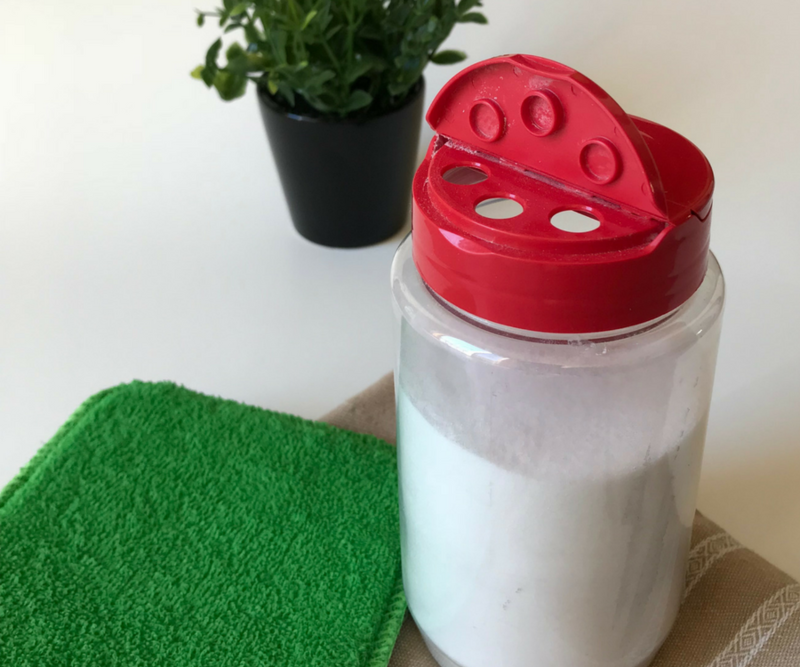 baking soda alters the PH of your body and breaking out in a rash is very common when using natural deodorants that contain baking soda….keep in mind that baking soda is baking soda. There isn’t one type that is more natural than another. Regardless of the production process, all sodium bicarbonate has the same chemical formula: Na2CO3 + CO2 + H2O → 2 NaHCO3 which is a mined soda ash. Even if it starts life as ‘a naturally mined soda ash’, it is NOT milder, gentler, less effective or a different grade of sodium bicarbonate. It has the same properties, the same chemical formula, the same strength, and can therefore be equally damaging. Most deodorant that is commercially and not naturally produced contains about 1% baking soda. 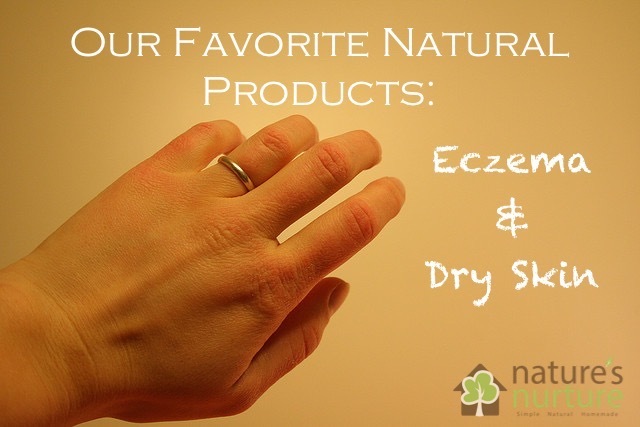 However, most natural deodorants contain 23% or more – the recipe listed here is 33+%. And again, this alters the PH of your body and can cause rashes. I know my rash was epic and I almost went back to commercial deodorant. Then I learned that it’s possible to make natural deodorant without baking soda or arrowroot…..do a google search or PM me. This website and blog is amazing! and I’m super glad I found it. But sometimes, you gotta do a little extra research. Thanks for your insight, Molly – I really do appreciate it. 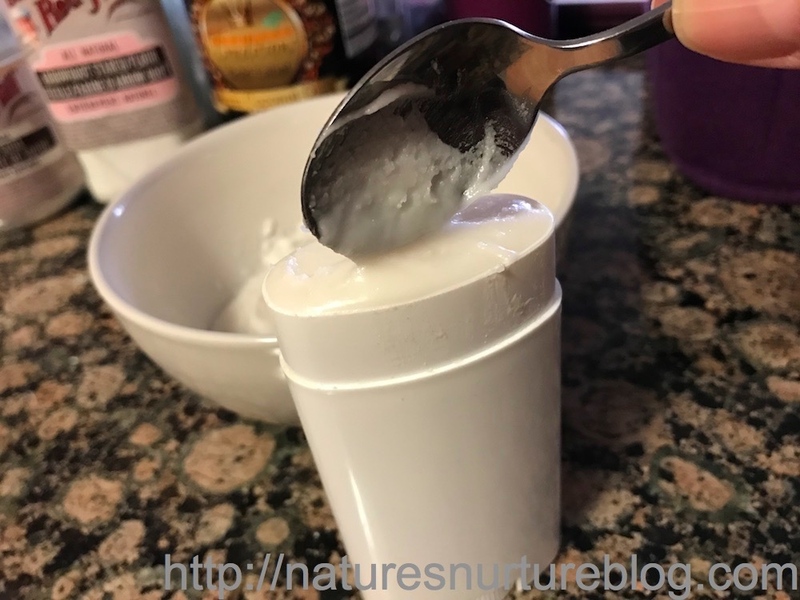 You are right that you can make deodorant without baking soda or arrowroot, as is demonstrated by the dozens of other recipes out there. This recipe (and variations of it) is unique in that it doesn’t require any cooking/melting, and can be made up and used in about 5 minutes. Can you share your recipe? Does it control oder? I’m sensitive to baking soda but also have an odor issue. I am a male, 44, have been using aluminum-free deodorant for at least 3 years now with Tom’s of Maine. Before the switch I never had any trouble with odor under my arms. The Speed Stick brand I used always kept the smell at bay even if “life” prevented me from showering for 2 days I would STILL not have smelly pits. However, since I made the switch to Tom’s of Maine deodorant I am LUCKY if I get 10 hours of stink-free pits! I don’t even have anywhere CLOSE to the amount of physical activity I used to have yet I have this issue. If you can offer any suggestions to change the mix so that it will work better or well enough for a MAN’S ph I would appreciate it. Also, most men like the sweet spicy scents like those famous with the “Old Spice” brand. Is there an essential oil that would serve this purpose I could add to the mix and have it be as effective as I need? Men don’t like floral scents so if I/we can stay away from those scents that would be GREAT!! I am all about making my own of as much as possible so I am happy I found this. Thank you for sharing this. I totally get what you’re saying, Lee! For manly scent, you could use some clove essential oil, which I hear is pretty great for this. Other ideas are bergamot, ginger, nutmeg, and black pepper. But don’t forget the tea tree oil because that’s the main anti-stink oil. I ran out once and made it without the tea tree – bad idea lol. Hi! I love the idea of a more natural deodorant, but I worry that the coconut oil or shea butter will leave oily stains on my clothes. Have you had this problem? Also I’m concerned whether it will really contain my odor. I have VERY stinky armpits that develop strong odor just a couple hours after my shower! I need something STRONG. I think maybe the tea tree oil scent would be best for me, but again I worry about staining my clothes. Honestly, I haven’t had any problems with oil stains, but I don’t use too much to begin with – just 2 swipes and that’s it. I also don’t live somewhere that’s excruciatingly hot most of the year, so I’m not dealing with a crazy amount of sweat. I can say that it does work very well with odor, especially if you make sure to use tea tree oil, which helps curb bacteria (the main cause of odor). I ran out of tea tree oil once and decided to make it without it, and I definitely noticed a difference! Agreed! Commercial deodorants are more dangerous than homemade ones. Aside from you made it yourself, you know the ingredients used and the health benefits you could get from it. I have been searching for diy recipes and finding your blog is a great answer. Thank you so much! Do you have an recommendations on other oils? Looking something for my husband and I don’t he would like lavender. This works amazingly well! Ive never had a deoderant work so well as this. Seriously. Incredibly effective. I added some cocoa butter to keep it solid at room temp. 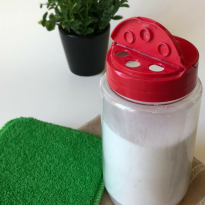 I made this recipe for the stick deodorant and I love it! I reused some deodorant tubes but the little twist up thing isn’t making the deodorant to “twist up” how can I fix this? I’m assuming you’re having trouble with twisting it after it’s already been refrigerated? If it’s too hard and the twisty part isn’t budging, just let it warm up for a few minutes at room temperature until you’re able to twist it. Sometimes it’s a bit difficult to get it started, but once you’ve helped it along it should work find after that. Hope that helps! 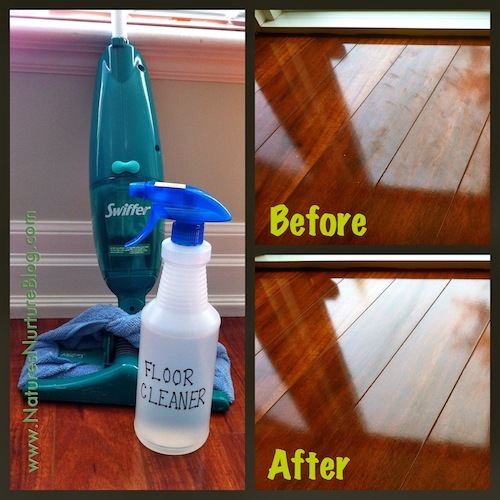 I am very happy to find your web site as I am trying to go natural since I had my first baby , actually I was looking for a natural wood cleaning spray recipe and I ended up here. I will for sure try some of your recipes…they look amazing. A little question, is it ok to use any kind of coconut oil or do you recommend an organic one? can’t really find the organic, and the one that costco sells seems good to me. For the coconut oil, try to get the best quality that you can find. Organic, virgin coconut oil is best. I think I know which one you’re talking about that’s sold at Costco. If that’s all you can find, that should be ok. 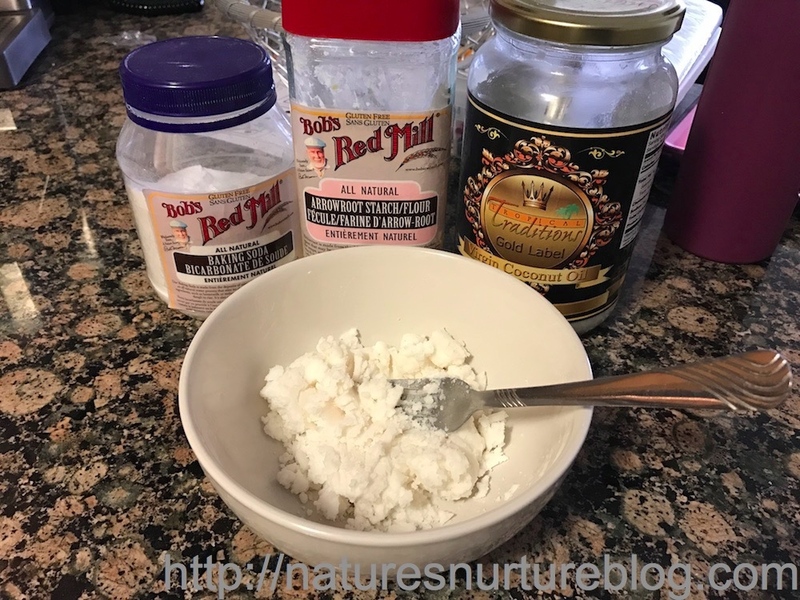 I use 2 different coconut oils in my home: one is the virgin coconut oil, which has the taste and smell of coconut (I use this for hair and skin, and this deodorant recipe), and the other kind is the cold-pressed oil, which has a neutral scent and taste (I use this one for cooking). For future reference, my favorite coconut oil brand is from Tropical Traditions (they sell both kinds). Eid Mubarak in advance, and best wishes to you and your new baby, congratulations on this new addition to your family . Incha Alah every thing will be fine for you both. By the way I had my second daughter last January, you can imagine how busy I am with a 2 years , 6 months old). 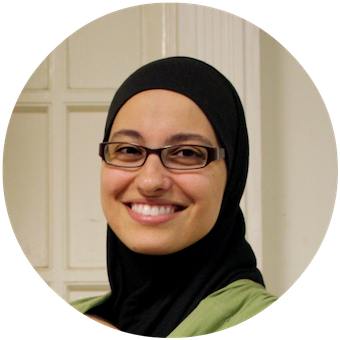 I didn’t receive the specific email about home schooling, I guess that you’re busy with Ramadan and getting ready to welcome your baby. Take care, fi Aman Allah inchaa Allah. That’s great, Selina! Deodorant was one of the very first things I made as well, and I’ve been using it for years! Works for me. Have not had irritation or odor from perspiration. Hey Katie, thanks for commenting. It’s actually baking POWDER that contains aluminum, not baking soda. I’m not sure where this baking soda-aluminum myth started (Bec I’ve seen it everywhere! ), but it’s just not true. I do use Bob’s Red Mill for my body care products because it’s all natural and mined right from the ground. For cleaning, though, I just use the cheap Arm and Hammer stuff (which actually goes through a chemical process before it becomes baking soda). Nice! Definitely going to try that! We live in the South. 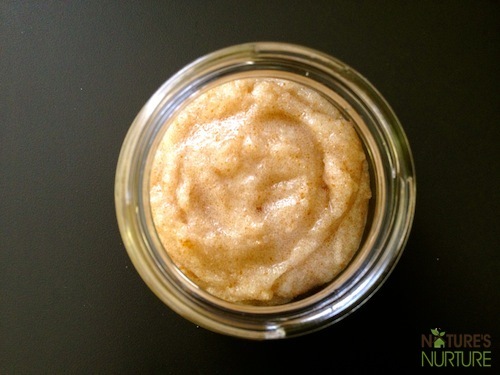 How well do homemade deodorants work in Summer heat & humidity? I’m assuming you’ll get sweat rings on your clothes, so that would be an adjustment, but do you get that chalky residue on sleeveless clothing that you do from many commercial deodorants? Hi Mrs. H.C.! I actually grew up in So. Florida, and although I don’t live there anymore, I do visit at least a few times a year; I actually just came back from spending 2 weeks with the family 🙂 The whole time I was there, I used nothing but this homemade deodorant. Although it didn’t completely keep me from sweating (after all, it’s not an antiperspirant), I definitely didn’t smell funky and there was no chalky residue on my shirts either. Keep in mind, when using this, you don’t need the 3-4 swipes that you do with commercial deodorants. Just a quick 1-2 swipes will do. Hope that helps! Very cool, sarah, thanks for sharing the link with me. If you really find this helps keep the odor at bay Im going to give it a try. I dont like the expensive price of the “all natural” deodorants, and agree with you that they dont always work as well as the conventional brands, BUT I prefer to buy products that do not test on animals (not to mention that dont have all the scary chemicals) so I think I just need to “woman up” and make my own!! Thanks! Oh, and do you think you can buy shea butter at the health food store, too? Where would you get that? I wonder if you could melt the ingredients down to eliminate the grainy texture one of the readers mentioned? It might be easier to mix it up this way as well. Then cool slightly before adding to container and refrigerate? Any ideas if this would work or if heating it up would alter the ingredients unfavorably? Thanks! Also, any idea where I could get deodorant bottles (new)? Thanks! I’m not sure…the only thing that would really be melted down is the coconut oil. I can’t imagine how baking soda and corn starch would fair and if/how that would alter their composition. In all honesty, I don’t notice the graininess at all – once I rub the stick under my arms, the warmth of the body heat melts it on contact and I don’t feel a thing. If you’re concerned about graininess, I would try adding a little more coconut oil to achieve a smoother consistency. Either that, or to try the alternate recipe at the bottom of the post. The kind used in candles has been shown to be a carcinogenic. I don’t know about the food grade kind (used in candies, etc. ), but either way, it’s a petroleum-based product, which is not environmentally friendly or sustainable. So I would definitely stay away from paraffin. Very interested in trying this. I haven’t found a natural deodorant yet that really works, which makes me sad since I love natural and organic products. You really made my day with this recipe. I make soap on the side so curious to see what other butters work with this recipe. Seems like I will be experimenting in the kitchen this week! I will! It may take me a week to get back since I can’t find any deodorant containers close to empty. I think I can order them from brambleberry or one of my other soap stuff suppliers. So very excited to try this! Hi Whitney, I’m so sorry you went through that! As I state in the post, some people are sensitive to cron starch and therefore arrowroot powder should be used. But I never heard that the baking soda could also be the culprit. Either way, the recipe is pretty lenient and lends itself very well to alterations. I would keep experimenting to find a mix that works for you. Good luck! Oooh, a real live field test! I so want to hear a report back on your experience! 🙂 Glad its working so far! I am interested in trying this recipe. Does the coconut oil stain clothing? Hi Jo, great question! I will add this to the post, but this is definitely a case of “less is more”. If you use too much, yes I have had it stain one of my shirts, although it did come out after a few washes. When you use this deodorant, just 1 or 2 swipes will do it. I was so used to applying commercial deodorant very liberally, but that’s not the case with this one. Tried it, love it. Yeah, I think next time I’m going to try replacing 1 tablespoon of the coconut oil with cocoa butter or maybe 1.5 tablespoons. Great recipe, great odor control. Thanks for sharing it! You asked for it, you got it. I thought about this last night. One thing I didn’t like about this deodorant was the graininess of the baking soda. Hands down your recipe rocks for odor control. Baking soda obviously gives it that control and corn starch absorbs moisture. Coconut oil binds the two together and holds them to your skin. I’m out of cocoa butter but thanks to my soap and lotion making I have tons of shea butter. Shea butter is solid at room temperature, melts at body temperature, and is great for the skin. Using a coffee scoop, which is an 1/8 of a cup or 2 tablespoons, I made the following variation last night and really love it. 3/8 cup of corn strach, 1/8 cup baking soda, 2 tablespoons of melted shea butter, and 1 tablespoon of coconut oil. After the oils set, this made for very firm deodorant which should be safe at room temperature for most summer days. If you or any of your readers wish to try this variation please bear in mind shea butter has a “nutty” scent to it so you may wish to add some essential oil if you’re not a big nut fan. Awesome! I’m going to add this recipe to the post, in case others want to try it. I know when I run out of my current batch – this stuff seriously takes forever to run out! – I’m going to try your shea butter recipe, as I have a brand new tub in my cabinet 🙂 Thanks for contributing, Lynn! Personally, I would shy away from using the body powder, as a few of those ingredients I wouldn’t want anywhere near my underarms; namely, the aluminum and the alcohol. 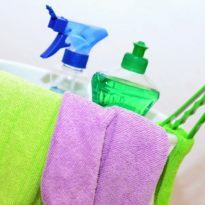 Also, the baking soda is a pretty important ingredient, as it provides the anti-odor properties. Hope that helps!